The National Working Committee of the All Progressives Congress has dismissed the purported expulsion of Senator Hope Uzodinma as earlier announced in a release by Mr. Daniel Nwafor. “The attention of the National Working Committee (NWC) of our great party APC, has been drawn to the purported expulsion of our governorship candidate in Imo State, Senator Hope Uzodinma, through a statement signed by the former chairman of the party in Imo State, Mr Dan Nwafor. 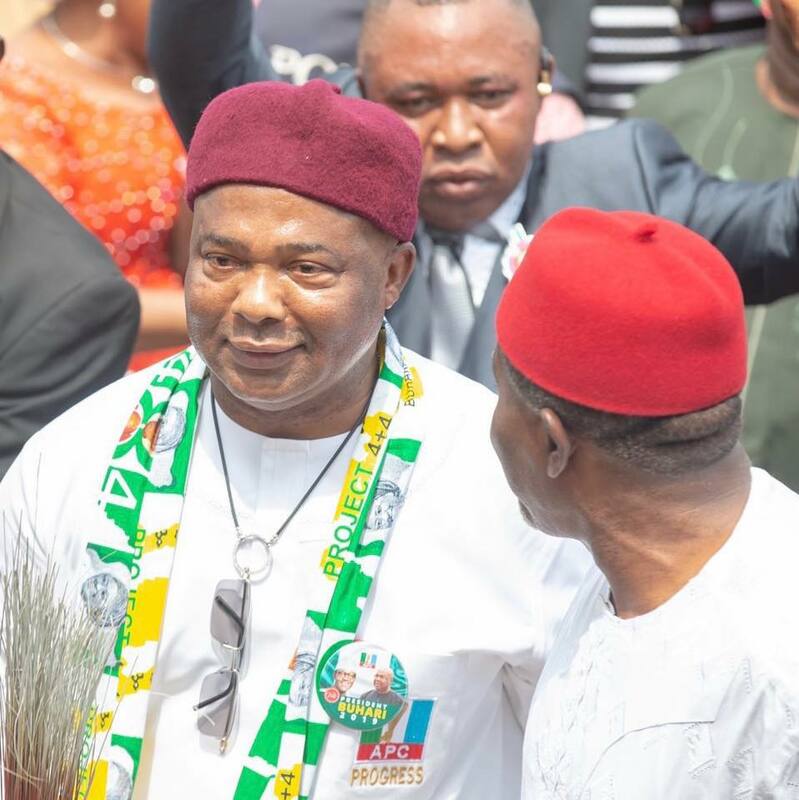 “We want to state categorically that the former Imo State Working Committee of the APC led by Mr Nwafor was dissolved after majority of members of our party in Imo State lost confidence in their ability to lead the party to victory in the forthcoming general elections, especially due to their involvement in several anti party activities. “Consequently, the NWC had since set up a Caretaker Committee in Imo State led by Chief Marcelinus Nlemigbo to pilot the affairs of the party in Imo State. “Therefore, Mr. Nlemigbo remains the only recognised Imo State Chairman and any decision which do not emanate from this recognised Caretaker Committee as regards the affairs of the APC in Imo State is null and void. “We call on our teeming supporters in Imo State to remain steadfast and disregard such reports as it does not have the blessings of the NWC. “The NWC is paying keen attention to events as they unfold in Imo State and the party would always take appropriate measures to protect the interests of the party. “Let it be stated clearly that APC would not tolerate indiscipline from any member of the party under any guise.